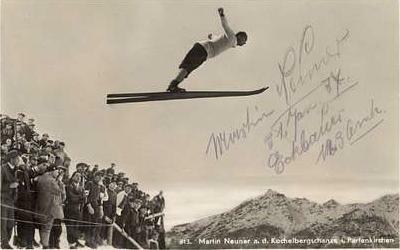 Already in 1902 the “Academic ski club of Munich” organized the first ski jumping events at Kochelberg and Gudiberg at Garmisch-Partenkirchen. 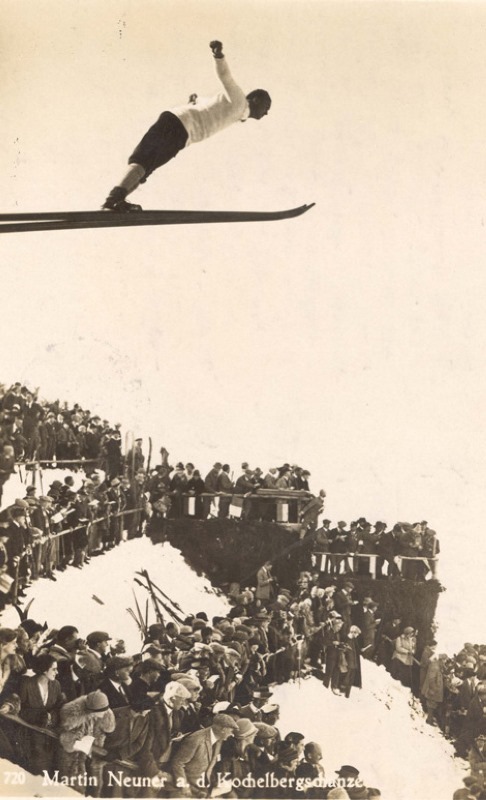 In 1914 the German ski jumping championships were hosted on Kochel­bergschanze and a Twelfth Day competition on Hausbergschanze. 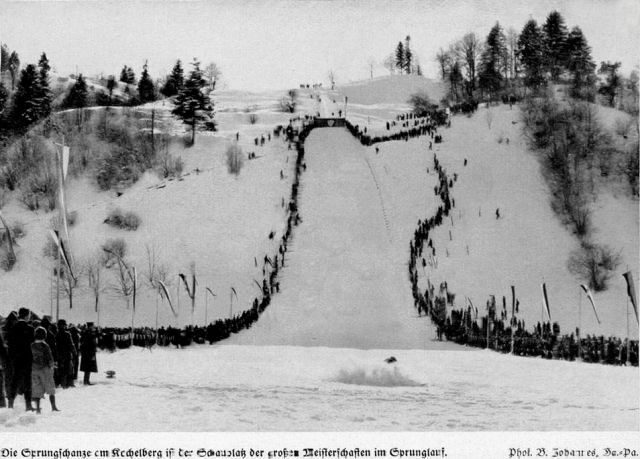 After World War I the ski jumping hill at Hausberg was reopened in 1921 and since the traditionally New Year’s Day competition has been organized annually. One year later the new ski jump at Gudiberg was constructed, which was called “Olympic ski jump at Gudiberg” from 1923 on. 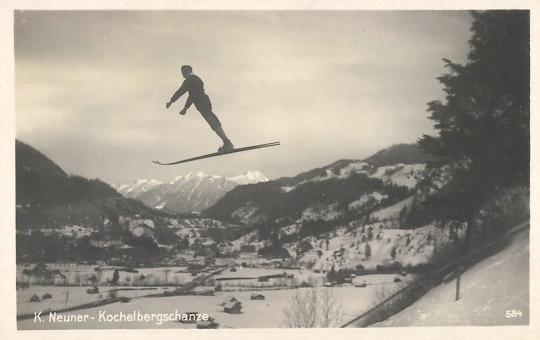 In 1925 the new Kochelbergschanze was opened with Norway’s Ljungmann, silver medal winner of the WSC in Johannisbad, setting a hill record of 59.5 m. In the following years many international competitions were organized there, too. 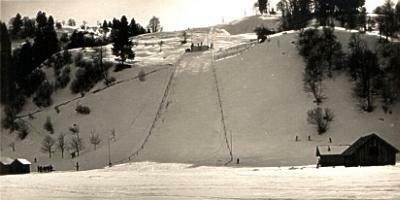 As on 1936-01-30 with an Olympic trial, where Sweden's Sven Eriksson equalized Birger Ruud's hill record of 71 meters. With the construction of large “Olympiaschanze” for the Winter Games in 1936 ski jumping activities mainly concentrated on the new ski stadium at Gudiberg. The old Gudibergschanze was converted into the small Olympic hill.